8 basses with one stop to remove the third. 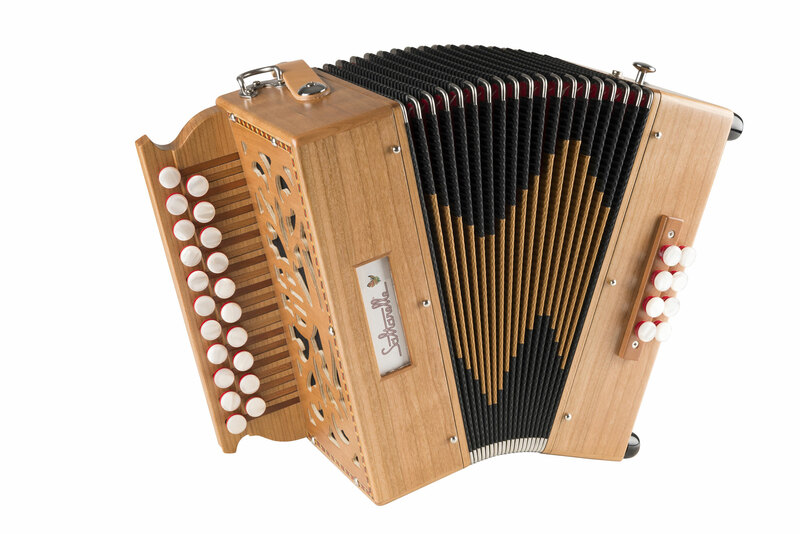 This small accordion for beginners has been considered a reference in its category for many years now. 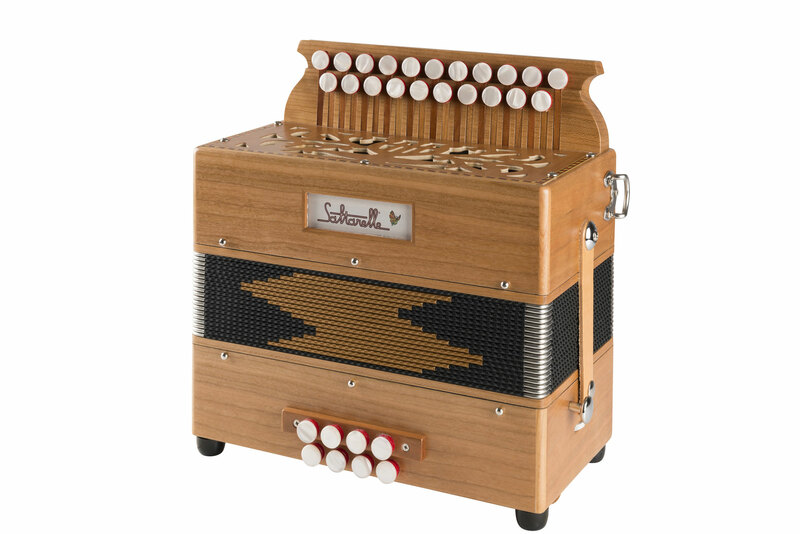 Perfect fit for those who want to start on real, good accordion at an affordable price. Easy to handle, quick response, will help you succeed in playing your first tunes. The name Bouëbe comes from a local dialect in the Swiss Alps. A "Bouëbe" is a young sheperd such as the grand father of today's Saltarelle's boss was quite a long time ago.